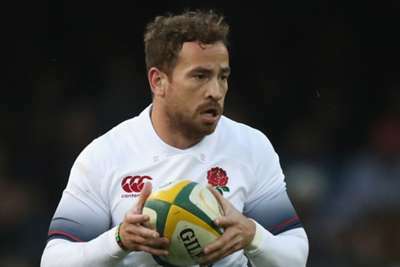 England coach Eddie Jones has challenged Danny Cipriani to improve after leaving the Gloucester fly-half out of his squad for the November internationals. Owen Farrell and George Ford were preferred to Cipriani in Jones' 36-man squad on Thursday for the upcoming Tests against South Africa, New Zealand, Japan and Australia, with the exclusion of the 30-year-old a shock despite his absence from a training camp last month. Cipriani has enjoyed a fine start to the new Premiership season, named the league's player of the month for September, but Jones believes he has work to do. "We've gone with two fly-halves. We think Owen and George are the two best fly-halves and they've been consistently in the team since I came in 2016," Jones told talkSPORT. "We think they are the two guys to lead England forward. "Danny is the third choice. There are some areas of the game we think he needs to work on. He understands that and now it's up to him." But there could yet be further opportunities for Cipriani, who made his first start for England since 2008 against South Africa in June. Discussing Cipriani, James Haskell and Don Armand, Jones added: "They are guys who could come back into the mix. No door is closed. "We're just looking at every player and seeing what they can contribute. But we think the players we've got in the squad at the moment are the best players."